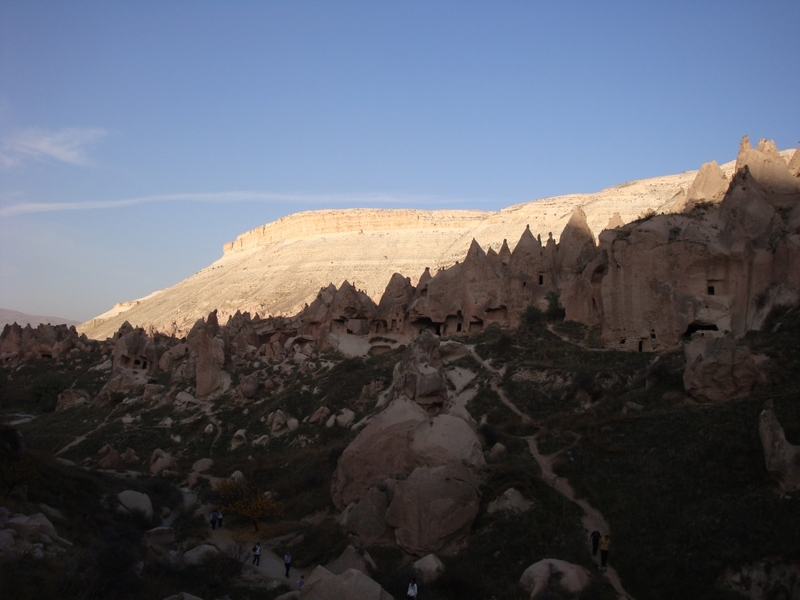 The rock houses and the fairy chimneys of Zelve are one of the most important site of Cappadocia which is visited as a open-air museum today. 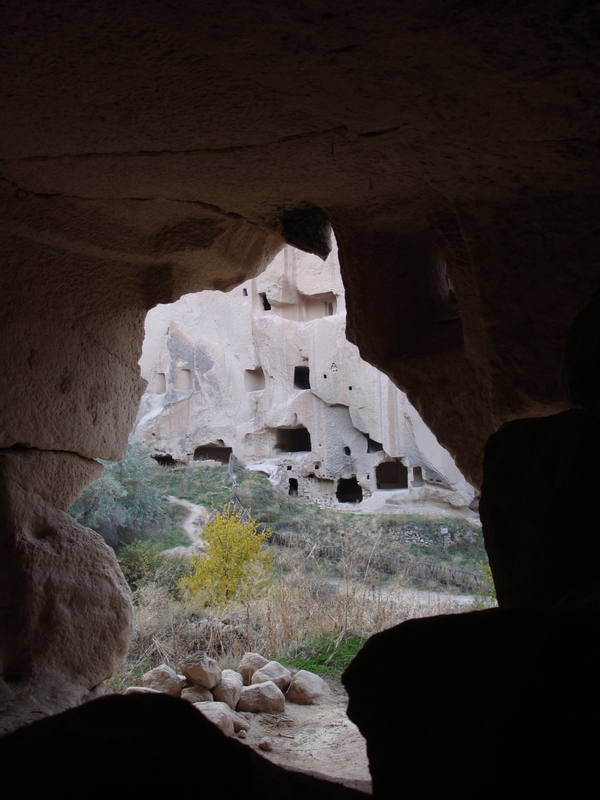 Maybe, Zelve does not have the frescos as the other dwellings of Cappadocia but the rooms and passages in the rocky slopes are as interesting as the other ones. It is amazing to think how people settled in these natural hideaway and made living for themselves for long years in the history. The area spread out onto 3 valleys and contains honeycombed style churches, houses, a tunnel joining two of the valleys, a mill and a small mosque. Inhabitants lived in the territory have taken great amount of advantage from the geography while drilling the soft rocks of these chimneys and making rooms to live in. The style of the rooms and are quite unusual for today’ s living style but certainly serves for the main purpose of people’ s sheltering need. This area was a very important settlement for the monasteries and religious activities especially between 9th and 13th centuries. The holistic power of the geography magnetized people from different religions for secular activities for many years in history. Here in this area Muslims and Christians lived in great harmony until 1924. The churches and the mosques next to each other was made in great modesty in the heart of the nature and people were lived in peace for long years. It is clear there is no extravaganza or showing off purpose in the architecture.The most attractive part of it is pure simplicity and holistic philosophy which housed civilizations on its ground. Layers of stone and fair chimneys pose by different silhouettes according to direction of light. Therefore it is possible to see different shape and detail in every other visit. Hi Tijen, beautiful photos ! you are absolutely right, it is a fantastic place. Do you have any hotel recommendations in that area ? Btw: I’ll let you know about my dates in Istanbul. Hello Evren! Nice to hear fr u. 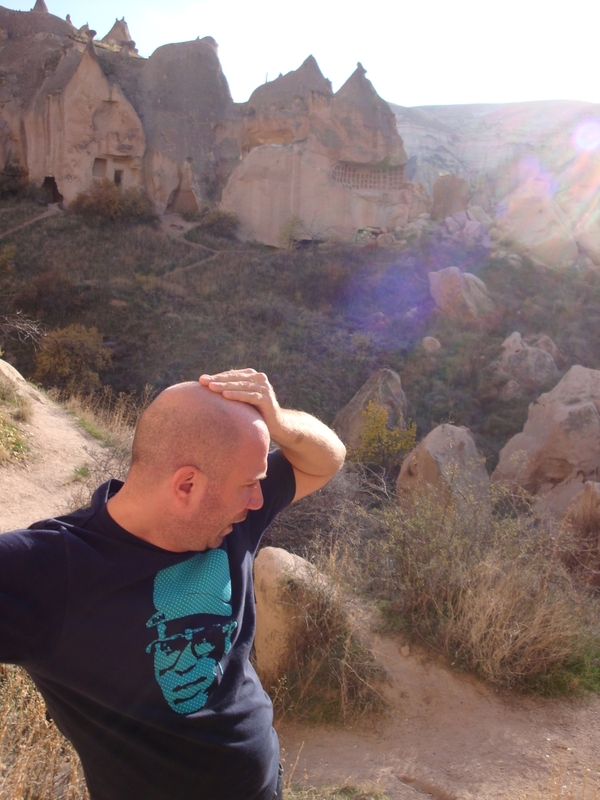 Yes we stayed in a very nice cave hotel called Yunakhan Evleri which i highly recommend. Looking forward to see u soon very & excited to meet w/u again! So cool! Thanks for sharing the photos. There are some similarities with the ancient cities that were carved into the rocks of the American Southwest region. We don’t have the spectacular looking white cones and peaks. But there are cave homes carved into mountainsides and the little holes next to entrances likely once supported wood beams that are now long gone. It’s really neat to go to these places and imagine what it was like to live there! Wowww!! I did not know there was such a place in US. The world is amazing, all aesthetic we need is really included in each and every detail. All we need is really to travel and develop ability of seeing:) Thx for your nice comment & have a wonderful day!